In an extraordinary general meeting on 20 March 2018 Kay Rechthien (Akamai) was elected to the board as the second chief technology officer. Kay joins the existing board members who remain in office. We are looking forward to working with each other and having many new ideas. It's a pleasure to welcome Xenia System GmbH as a new BCIX member. They are focused on IT consulting and implementation of IT infrastructure. Since last week Questnet GmbH is conntected with 1 Gbps to the BCIX platform (L105). Questnet is a carrier neutral application service provider specialized on development and marketing of innvovative value added services. New BCIX Peer: Oath (AS10310) aka Yahoo! Oath Inc. is now connected with 2 x 10 Gbps to the BCIX platform (A36s). The successful services of Yahoo! are being continued under the umbrella of Oath Inc. This includes Yahoo Mail, Tumblr and several other renowned content brands. We welcome TAZ, Die Tageszeitung as a new BCIX member. After peering at BCIX for a few years the Berlin based German cooperative-owned newspaper TAZ decided to become a BCIX member already a few weeks ago. We also welcome GlobalConnect, Denmark's leading provider of fibre network, data centres and IT outsourcing, as new BCIX Member. GlobalConnect covers Denmark, Northern Germany and parts of Sweden with a 13,000 km long network of optical fibres and 13,000 m2 data centres. We are pleased to welcome our long-standing peer euNetworks as a BCIX member. euNetworks owns and operates fiber optic networks that provide customers with scalable bandwidth in Europe's most important cities. Iubari GmbH is also a Berlin-based consultancy specialized in network technologies. The company is primarily focused on the design and testing of large networks at service providers and companies, and has a focus on IPv6 consulting. The managing director Wilhelm Boeddinghaus was from 2012 to 2014 Board Member of the BCIX e.V. Our new BCIX member OnNet-Communications GmbH is a Berlin-based consulting company in the field of data networks and coordinated network infrastructure development. Since 2014 the Managing Director Christian Kröger supports BCIX e.V as Board Member and since June 2017 he is also Managing Director of BCIX Management GmbH. We are proud to welcome Apple Inc, one of the largest technology companies in the world, as a new peer at BCIX. Apple is now connected with 2x100 Gbps at the BCIX platform (L105). Since mid-September LWLcom GmbH is connected with 10Gbps to the BCIX platform (L105) LWLcom is a Bremen-based communications service provider with its own fiber optic network and data centers. SBC Deutschland GmbH is now conntected with 1 Gbps to the BCIX platform. 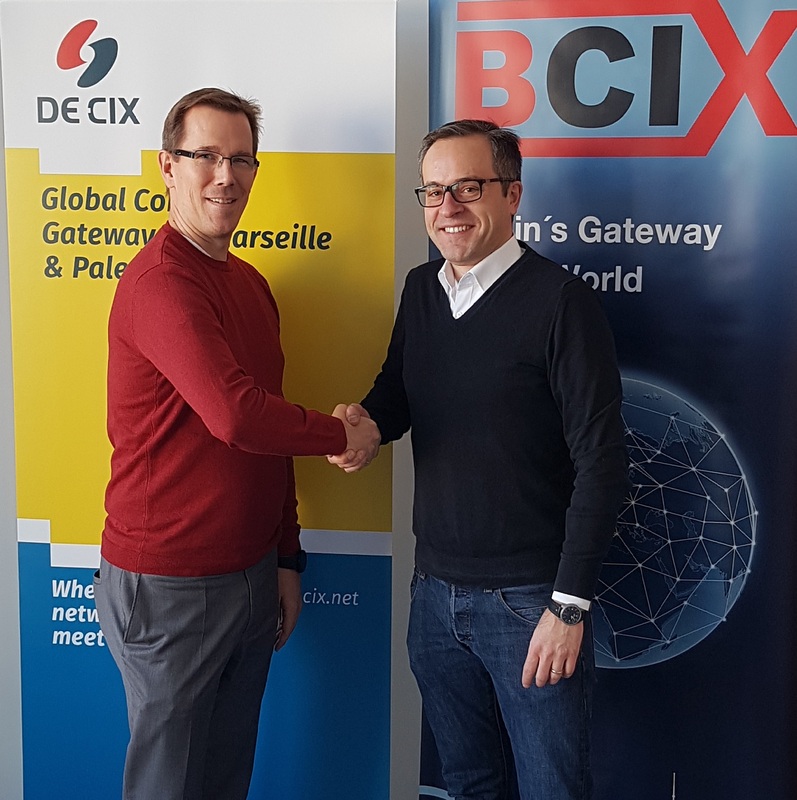 Tele Columbus, the third largest cable network operator in Germany, has now upgrated the second BCIX Ports to 100G (G60, Level3). After this week's port upgrade Limelight is now connected with 100 Gbps to the BCIX platform (L105). Limelight Networks is a premier content delivery network (CDN) service provider that enables organizations to deliver faster websites, more responsive applications, the highest quality video, and consistent game and software downloads to any device.